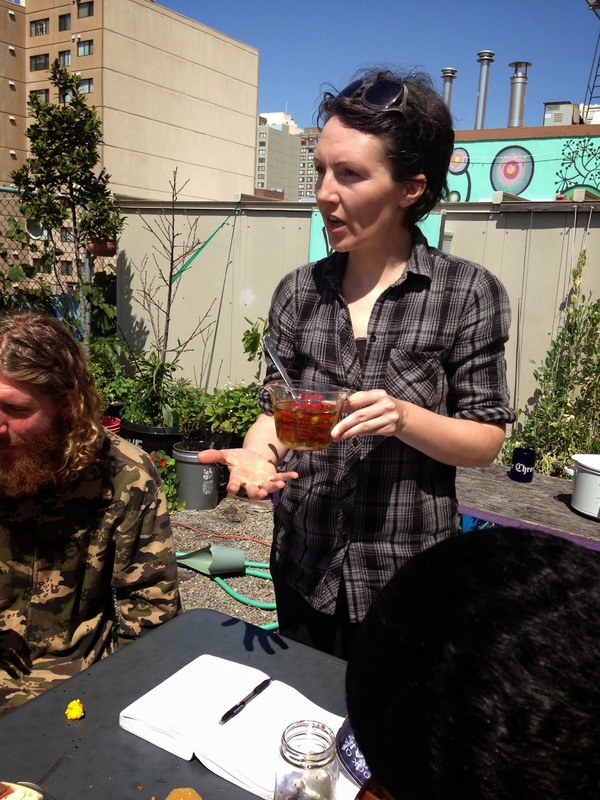 Participants gathered together in the garden to learn about the many medicinal properties of a few powerful flowers, including calendula and chamomile. These two plants are from the, asteraceae family, otherwise known as the sunflower family. In addition we also studied lavender, which is from the lamiaceae family, the mint family. We learned that chamomile is very soothing for children, and lavender is known for relieving stress, anxiety and fatigue. 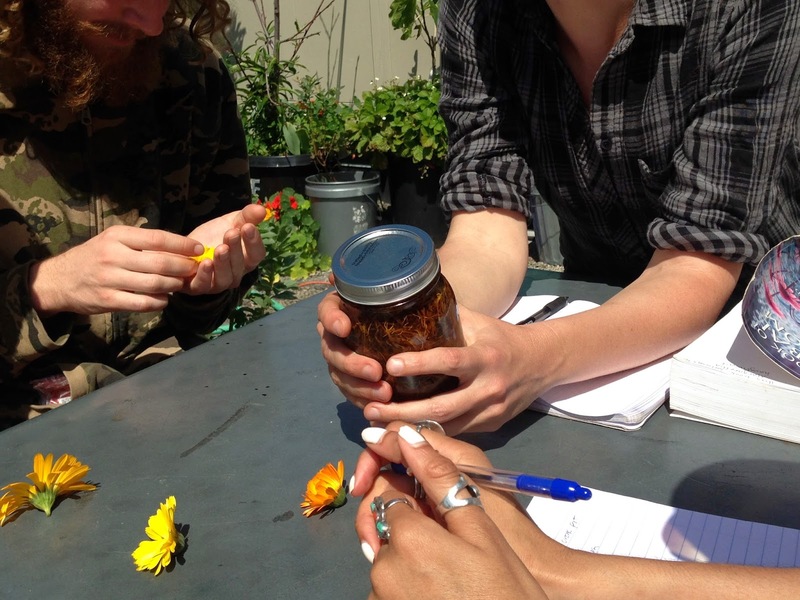 The workshop featured a demonstration and teach-in on how to make your own Calendula infused salve, a medicinal ointment. Calendula flowers are known to be very soothing to the skin. They also have been used for centuries to heal wounds and an array of skin irritations. 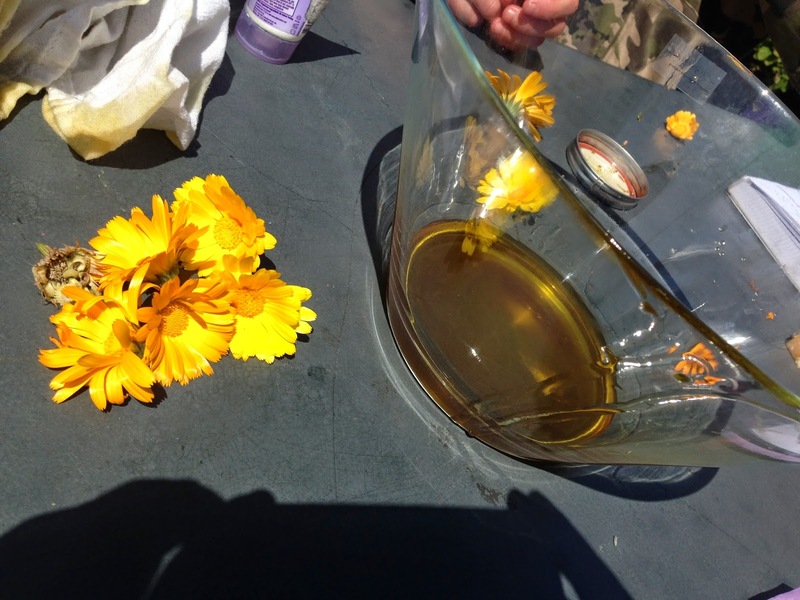 Calendula has anti-inflammatory, antimicrobial, astringent, antifungal, antiviral, and immunostimulant properties. 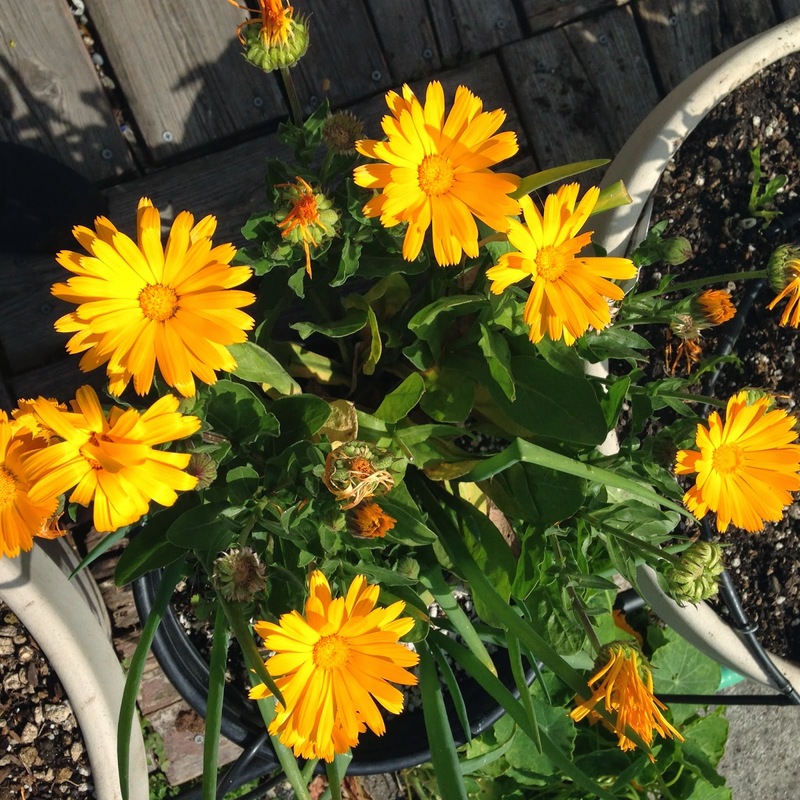 This makes Calendula useful for disinfecting and treating minor wounds, conjunctivitis, cuts, scrapes, chapped or chafed skin, bruises, burns, athlete’s foot, acne, yeast infections, bee stings and diaper rashes. All these extraordinary qualities makes Calendula flowers ideal for a medicinal slave. 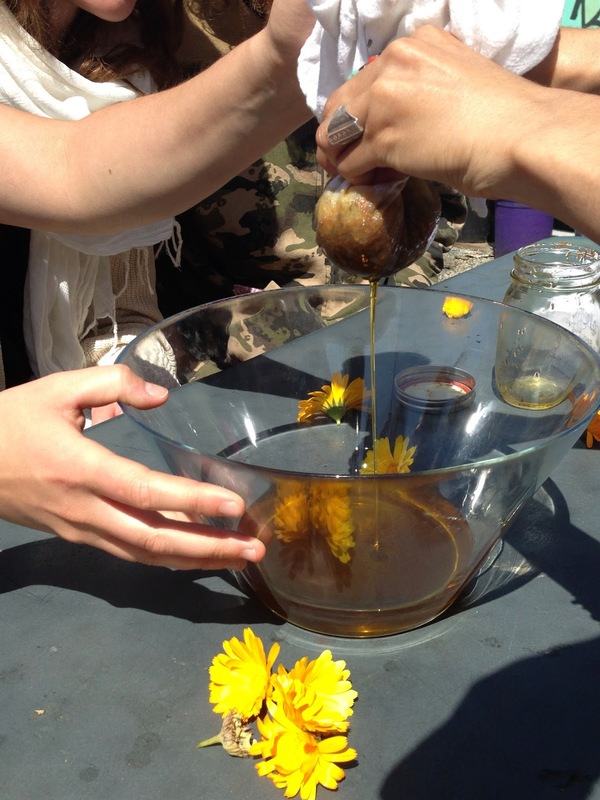 The salve was made from Calendula infused, organic olive oil. 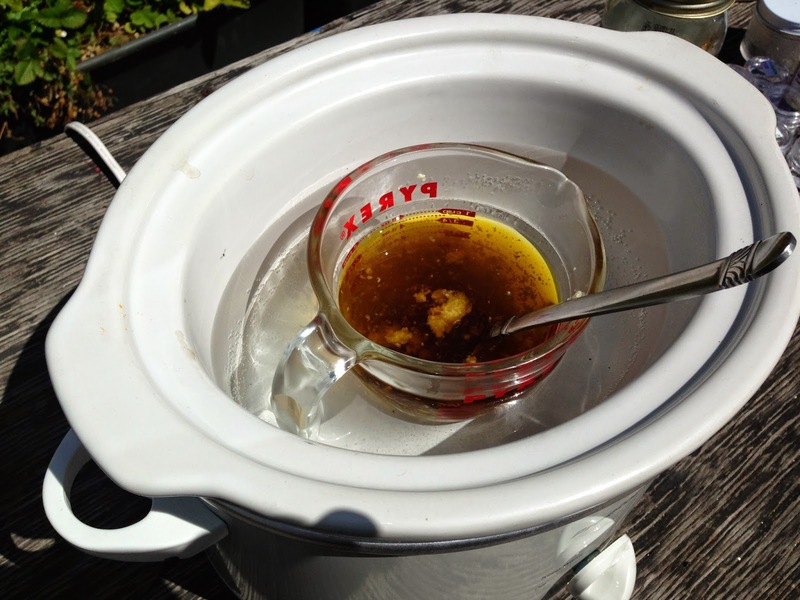 We extracted the infused oil using a tea towel. The next step is to melt beeswax into the oil; once the beeswax is entirely dissolved into the oil, you have created, calendula salve! We all went home with a small container of salve! Thank you Margaretha for the inspiration and knowledge!